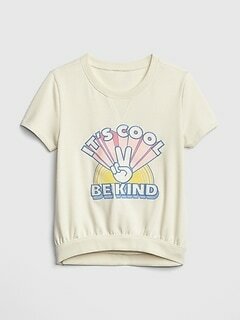 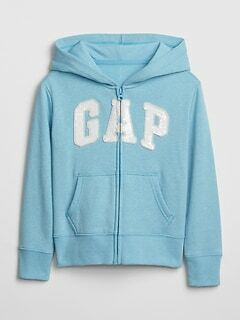 Your kid will be all smiles in high-quality hoodies for girls from this inspired collection at Gap. 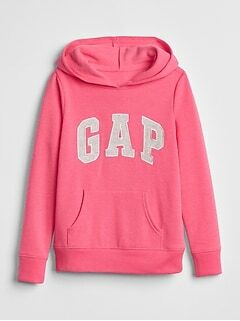 Shop this large selection of girls' hooded sweatshirts from Gap, and being home an adaptable garment that will come in handy in many different environments and social settings. 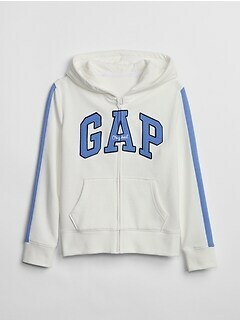 This versatile casual wear is ideal for a cool late afternoon on the swing set, a bonfire on the beach with family after a magical summer vacation, a chilly night in Grandma's drafty old house around the holidays, or any time she needs a little extra insulation. 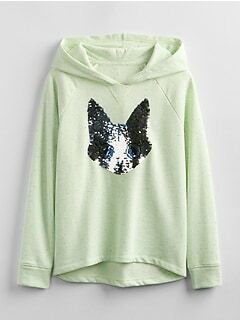 Hooded sweatshirts can be an outer layer during the in-between months, and fit wonderfully under a light jacket when the temperature drops a little more. 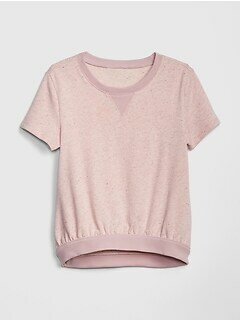 Great looking and highly functional, these designs are must-have fashion. 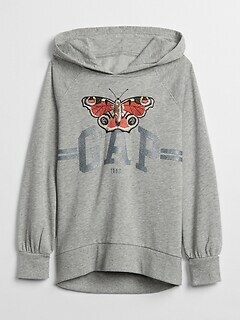 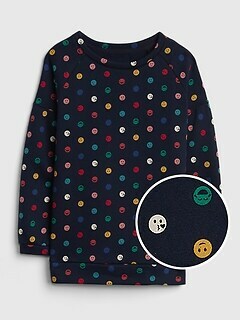 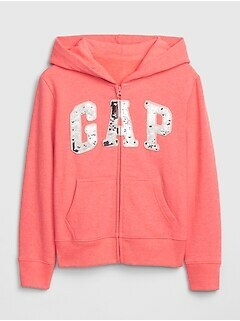 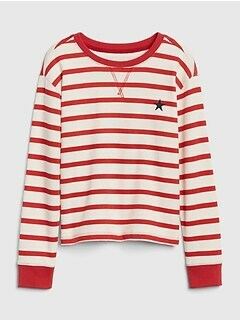 Girls' hoodies from Gap are available in both pullover and zip-up designs. 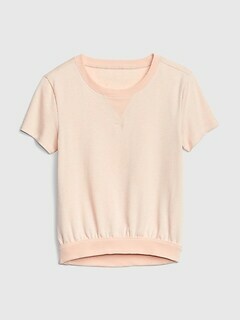 Choose from an assortment of different hues, from vivid pastel colors, to classic athletic gray, and a number of lush, dark tones. 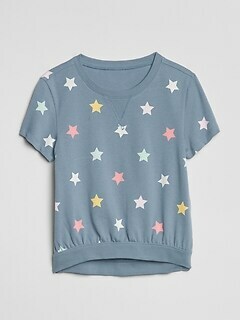 It's easy to find a top that will match your child's unique personality and style with the diverse options in this line. 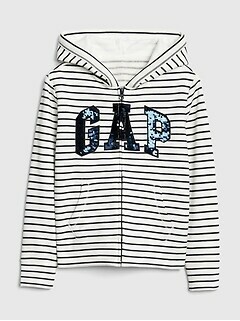 Always a cute and approachable casual look, these hoodies go great with a t shirt and jeans combination. 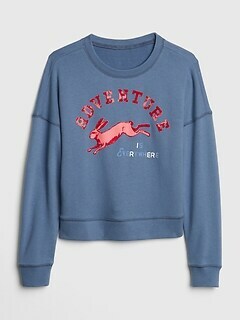 Don't cut an adventure short. 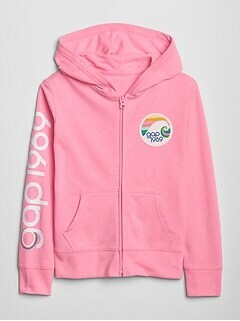 Toss an extra in your car, or bag and always be ready for a change in the weather. 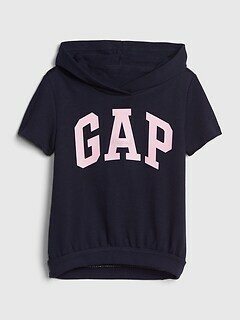 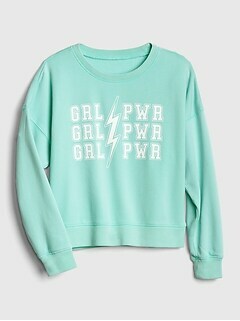 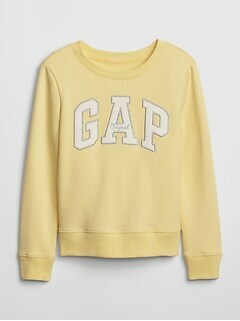 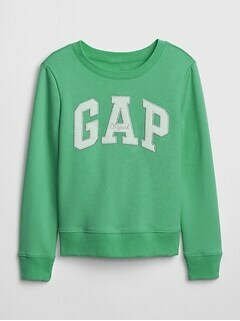 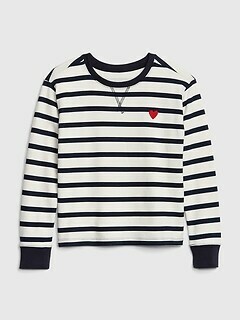 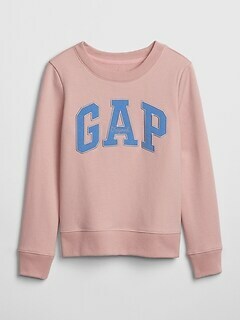 Like all adult apparel and accessories from Gap, sweatshirts for girls in this line are manufactured from choice materials. 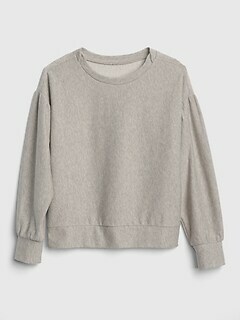 They are soft, yet highly durable. 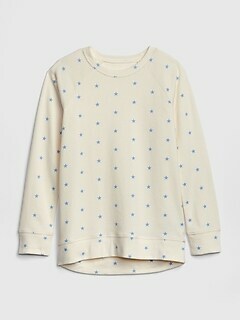 Machine-washable, these garments are easy to keep clean, even after a long day of playing in the muddy backyard. 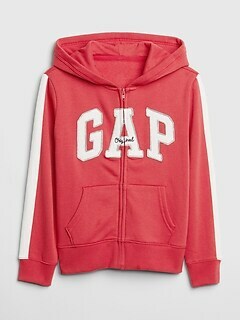 Hoodies from this collection have the right amount of warmth while still remaining breathable. 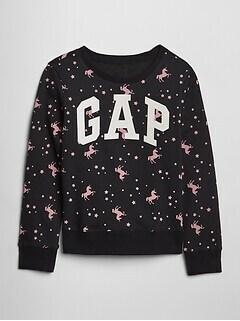 She'll keep from overheating as she shoots hoops in the driveway with Mom or Dad. 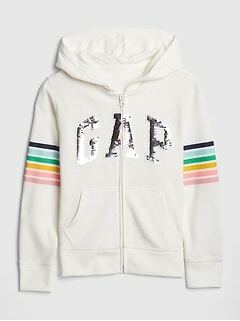 These fantastic clothes will last for years, and become sought-after hand me downs once she's outgrown them. 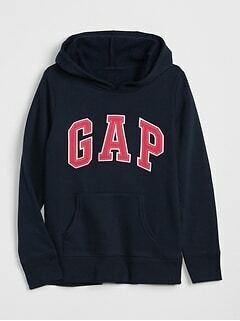 Shop today, and bring home a smart new design. 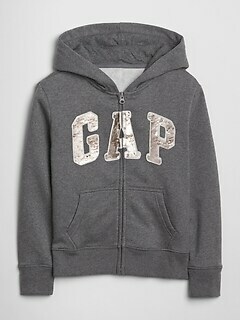 With hooded sweatshirts for girls from GapKids, your child will enjoy the playground in style on a brisk afternoon.